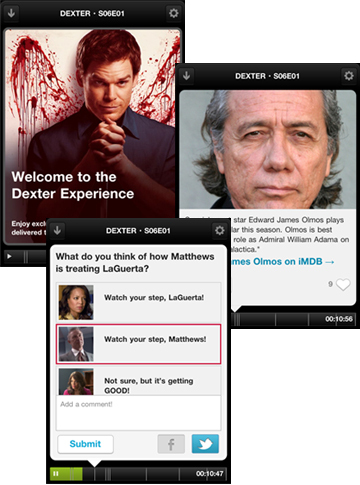 Sunday’s premiere of Dexter saw the first launch of a new feature from social TV platform Miso. 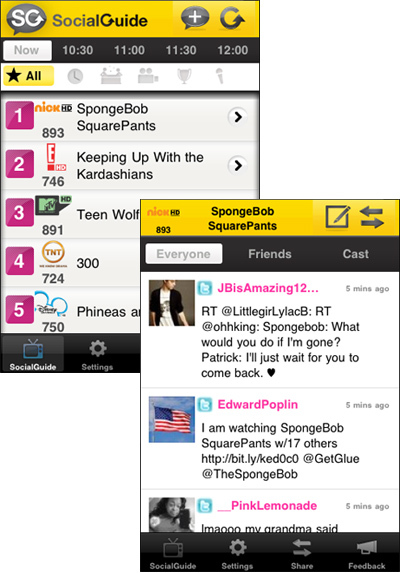 Users of the app could access and interact with enhanced content that was synched with the show’s broadcast, including polls and actor’s bios. Viewers can sit back and watch the show and receive text updates as enhanced events in the timeline are reached. While any Miso app user could follow along by tapping play at the beginning of the show, DirectTV subscribers can have the app synch with their set-top boxes. Once synched the Miso app will communicate with the set-top box (they must be on the same wifi network) to determine which show the viewer is currently watching, updating as the viewer changes channels. The app will provide opportunities for viewers to ‘check-in’, access enhanced content and view updates from other viewers of the show currently being watched. Most followers of Twitter already know that there is a huge social experience that happens during the broadcast of popular shows or live events. 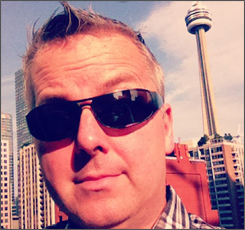 We are seeing more and more apps that are trying to tap into that social experience and have viewers interact through an app such as SocialGuide, YapTV or BeeTV. Even networks such as CBS are launching their own mobile apps trying to create and capture that social buzz during broadcasts of their shows. The free Miso app can be downloaded in the App Store.